Dr. Alfred "Al" A. Hart, age 86, of Bay Village, died February 15, 2019. 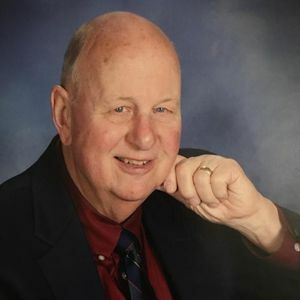 Al was born to parents Al and Martha Hart on January 3, 1933 in Pittsburgh, PA. During his time as a Presbyterian pastor, he served churches in Benkelman, NE, Orwell, OH, and Cuyahoga Falls, OH. Then for 29 years, until his retirement in 1998, he served as pastor of the Avon Lake Presbyterian Church. He went on to serve as Parish Associate at John Knox Presbyterian Church in North Olmsted. A man of varied interests, Al hosted a jazz radio program, "Sounds for Sunday", on two Cleveland radio stations. The program featured religious jazz, and was subtitled, "Godly Music at an Ungodly Hour!" He was listed in a 1993 issue of "Cleveland Magazine" as one of Cleveland's 20 most interesting people, and had been the co-leader of a church-based Dixieland band, "The Elders of Jazz." For a number of years Al had a passion for Great Lakes history and especially Great Lakes ships. He was a collector, photographer and researcher, and sold Great Lakes nautical paper items (postcards, books, photos) on eBay. He served on the Board of Directors of the Great Lakes Historical Society and the Association for Great Lakes Maritime History; as well as serving as chaplain of Cleveland Lodge 4 of the International Association of Ship Masters. He leaves behind his beloved wife of Jan Hart (nee: Doll) of over forty years; children Susan Hart and step-children Bonnie Hedges (Chris), Brin Odell (Erin); grandchildren Amber, Heather (Aric), Lexie, Peyton and Taylor; and great-grandchildren Porter and Stella. Al was preceded in death by his parents and his son Chris Hart. Add your thoughts, prayers or a condolence to Alfred "Al"'s guestbook.